Rugged Power Power Distribution Units come in all shapes and sizes to meet the customers requirements. Features range from simplistic to sophisticated intelligence, from local control to remote control, from commercial-off-the-shelf (COTS) to entirely custom. Rugged Power Rugged, Intelligent Rackmount or Universal Mount PDUs. 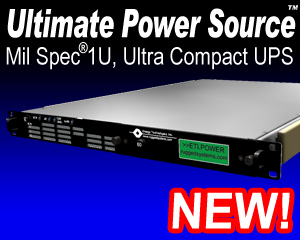 PersonalSource Intelligent Power Distribution Units.